In order to promote the development of higher education of International students in Tianjin, to further improve the talent cultivation, scientific research, social service, and cultural exchange, Tianjin Government has set up the Scholarship (TGS) for International students. Recipients are International Students in Tianjin and students who wish to study in Tianjin. Recipients are the undergraduate or the higher level foreign students who are applying to study in Tianjin and the excellent international students who are studying in Tianjin. Applicants for undergraduate program must have senior high school diploma with good academic performance and be under the age of 30. Applicants for master’s degree programs must have a bachelor degree and be under the age of 35 with two letters of recommendation from professors or associate professors. Applicants for doctoral degree programs must have a master degree and be under the age of 40 with two letters of recommendation from professors or associate professors. Applicants should meet the language requirements of the higher education institutions and provide relevant proofs, such as HSK certificate, other Chinese learning and examination certificates, etc. The restriction can be relaxed for the foreign students whose majors are taught in English. Applicants should not apply for other scholarship in the same time. Applicants must be foreign self-funded undergraduate, postgraduate, PhD student who has normally enrolled in Tianjin. Applicants who have applied for leave of absence, retaining student status or extension of schooling last year will not be allowed. Applicants must perform well in school without truancy, other violations of school regulations in school or other violations of Chinese laws and regulations off school. Applicants must have the right learning attitude and study hard. Applicants’ academic record should be excellent in the previous year. Applicants have not obtained any other scholarships in the same year. Doctoral student scholarship: 40,000 RMB/person/year. Master student scholarship: 30,000 RMB/person/year. Undergraduate student scholarship: 20,000 RMB/person/year. Applicants could apply to the Higher Education Institutions that are eligible to enroll. The Higher Education Institutions must submit Scholarship List and application documents to Tianjin Municipal Education Commission by June 15. 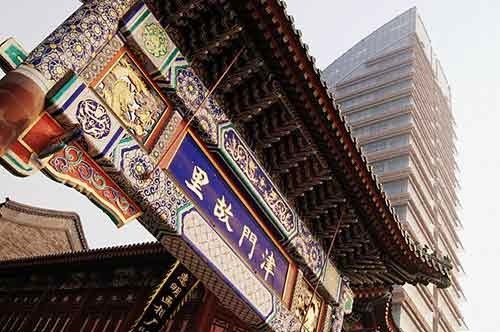 Application Form for Tianjin Government Scholarship (Applicants shall obtain the form from the Higher Education Institutions or download from the website of the targeted HEIs). Notarized highest diploma and transcripts. Study plan or research plan should be submitted for degree or research students. Please note that application documents will NOT be returned. The Higher Education Institutions must be full-time colleges or universities that are eligible to enroll international students. Higher Education Institutions must establish assessment working group. The review comments should be made fairly, openly, equitably by the group and be approved by president. The assessment results should be publicized for one week and then be submitted to Tianjin Municipal Education Commission. Scholarship List will be determined by the experts organized by Tianjin Municipal Education Commission. Address: No.50, Shuishanggongyuan North Street, Nankai Dist.,Tianjin,P.R.China. For more information, please visit official website: www.csc.edu.cn. Demikianlah informasi mengenai Tianjin Government Scholarship, China semoga berguna bagi anda.